This is single sided Dot Matrix PCB board. It is also known as Perforated Board. This board can be used to quickly build and test circuit boards for testing and prototyping purposed or may be for making breakout boards. This board is made of high quality phenolic laminate and has holes drilled at the standard spacing of 0.1″ (2.54 mm). 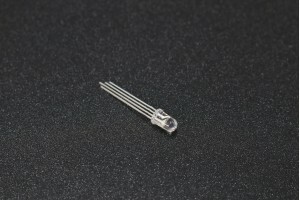 The PIR Sensor module allows you to sense motion. It is almost always used to detect the motion of..
Electrolytic decoupling capacitors 220uF / 25V. These capacitors are great transient/surge suppres.. Specifications Wire Type: 6 Pin ..
Atmel’s ATMega8 8-Bit Processor in 28 pin DIP package. 8K of program space. 23 I/O lines, 6 of whi.. This Limit switch is manufactured from glass-reinforced thermoplastic to give rugged performance. ..
Specifications· Dimensions: Diameter 70mm · &.. Specifications Resistance (Ohms): 120 Ohms .. Specifications Resistance (Ohms): 4.7k Ohms..
Standard frequency crystals - use these crystals to provide a clock input to your microprocessor.S..